This software provides an integrated platform where users of any organization can generate their request for IT resources. You can easily keep track on an organization's IT requirements and assign duties more efficiently using ManageEngine ServiceDesk Plus. IT asset management and IT are two operational parts of this tool. ServiceDesk Plus helps the Linux administrator deliver world-class service to end users with reduced costs and complexity. ServiceDesk Plus is ITIL-ready help desk software with integrated Asset and Project Management capabilities. ManageEngine ServiceDesk Plus used to create projects, manage resources, track progress and integrate IT projects with requests and changes to fine-tune the overall IT service delivery. 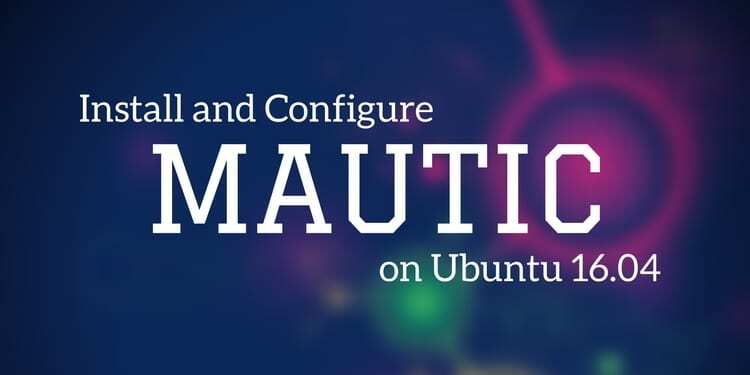 This tutorial helps you overcome the initial hiccups of installing ServiceDesk Plus successfully and starting ServiceDesk Plus as a service on an Ubuntu-14.04 server. A server running Ubuntu-14.04. A static IP Address for your server. A non-root user account with sudo privilege set up on your server. First you will need to download the ServiceDesk Plus package for Linux. If you wish to download it using 'wget' command then run the command as shown below. Connecting to download.manageengine.com (download.manageengine.com)|117.20.43.139|:443... connected. First, you will need to assign the executable permission to the downloaded .bin file before installing. You can do this by entering the command below via your command prompt. Now execute the .bin file to start the installation wizard and follow the instructions to proceed to the Next step as shown below. just you, to be more efficient. computer. To continue, click Next. Read the license agreement or type 'q' to guit and then choose the option 1 to accept the license agreement. If you wish to add your information to the technical support from ManageEngine then add your details here. You can choose from the three available editions. Here, select the First Enterprise Edition. Helpdesk with Knowledge base, SLA, Asset and Software License Management. 'Project Management' add-on available during trial period. Here you need to specify a directory or press enter to accept the default directory. Here, choose /opt directory for the installation location. want to run it on a different port, specify the same here. The system will start preparing the summary of your selected components and then start installing on your server. This may take a few minutes, so wait for its completion. Installation Directory : /opt/. Product Size : 400.1MB. 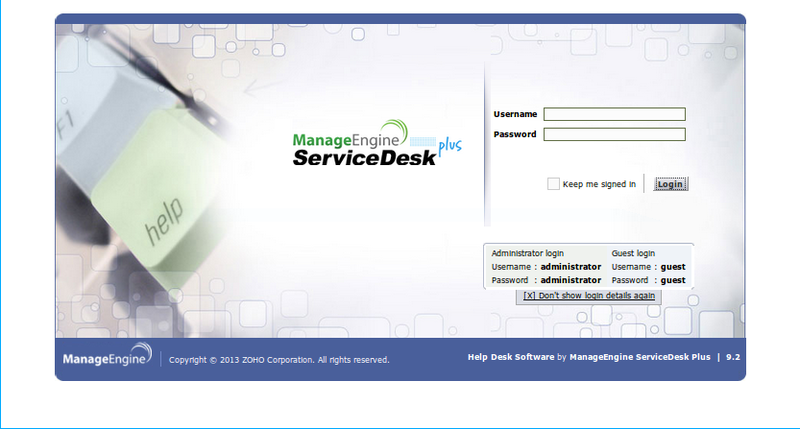 The InstallShield Wizard has successfully installed ManageEngine ServiceDesk Plus. Once installation has been completed, you will need to start the server. 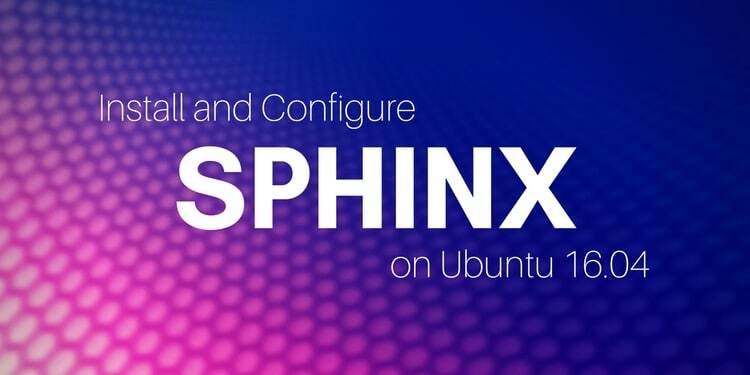 To do so change your directory to the bin folder of your installation directory and then run the 'run.sh' script to start the ServiceDesk server. Next, you will need to allow port 8089 through your firewall if you want to access the servicedesk server from remote systems. After login, a beautiful dashboard will appear, explore all services and use as per your need. Click on any of the options and you will find a detailed information about its usage and customisation. 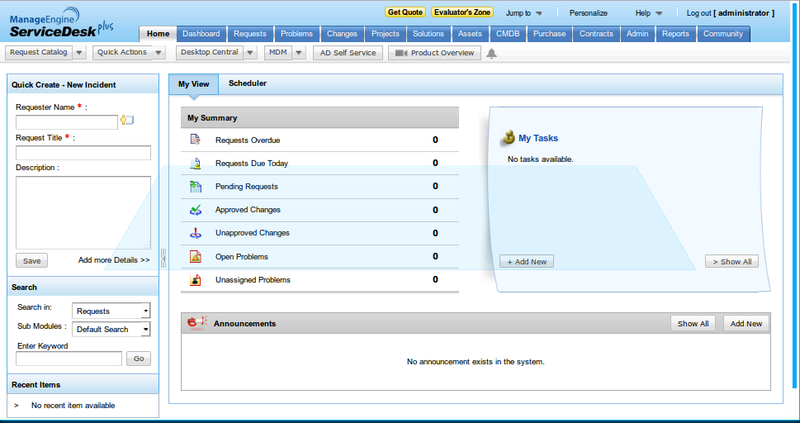 Here is first look at your ServiceDesk Plus Home Page. When you close the session of the ServiceDesk server then it will be stopped. So, you will need to create the servicedesk start up script. You can create this script by creating servicedesk file inside /etc/init.d directory. Next, you will need to add the script as a startup process and create a blank file under '/var/log' directory for logging purposes.